Precision Air are the local experts for complete forced-air heating system services. We can help you with all your furnace repair needs or evaluate your system and provide you with furnace replacement or installation of a highly efficient heating system. 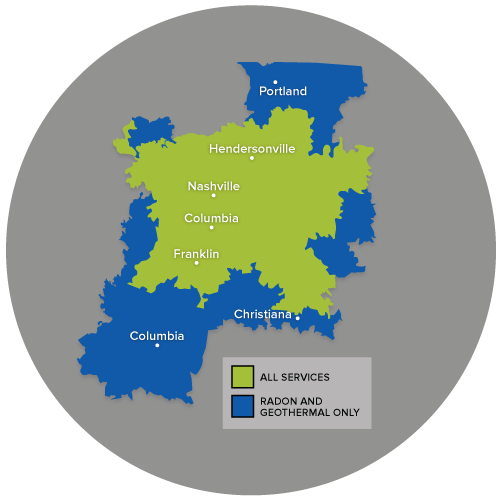 Call us today or contact us online to get started with a free quote in Nashville, Franklin, Murfreesboro and the nearby areas! A forced-air heating system gets its supply of heated air from an oil or gas-fired furnace, from a heat pump. A forced-air heating system that relies on hot water is called a hydro-air system. During hot weather, the same ductwork system that circulates heated air can also circulate cooled air from a central air conditioner. Forced-air systems are popular because they evenly distribute heat throughout the home based on the settings of one or two thermostats. The efficiency of a forced-air system is dependent upon the fuel source, however. At Precision Air, we install highly efficient gas furnaces to provide the most energy savings. If you're ready to start saving money on heating costs while improving your home's comfort and efficiency, Precision Air is here to help. We provide complete forced-air heating system repair, replacement, and installation services, and we'll help you get the right solutions for your needs. Call us today at 1-844-386-0719 or contact us online to get started with a free estimate!